Freeview Play is a free to air subscription free service which provides you with access to the nations favourite selection of TV channels. To access this service, you are required to have a terrestrial aerial installed at your home. Which channels can I access? Can I record on this device? With a 500GB device you can record up to 250 hours, 1TB allows you to record up to 500 hours and a 2TB HDD enables up to an amazing 1000 hours of recording. How many channels can I record? 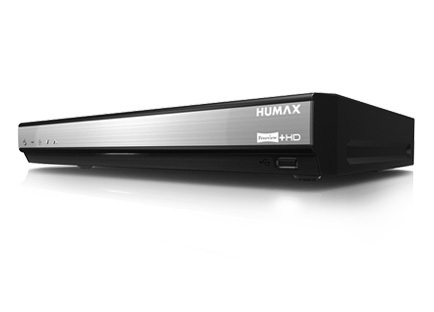 With the FVP-5000T having an impressive three tuners you will be able to record up to 4 programmes simultaneously with the additional benefit of being able to watch a fifth. Can I connect to my WiFi? The FVP-5000T does offer the ability to connect to WiFi. Ethernet is also an option. Which On Demand Players can I access? BBC iPlayer, ITV Hub, All4, Demand 5, UKTV Play, Freeview Explore, BBC News, BBC Sport, Netflix, Youtube and Internet Radio. We also have a wide range of novelty apps available that include Fitness, Children, Education & Media apps. Is Catch Up TV available? Catch-Up TV is indeed available and can be accessed directly via the EPG, we also have a dedicated Top-Picks section to highlight he best programmes available this week. Can I transfer my recordings to external devices? 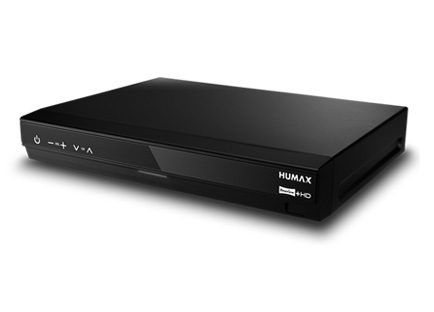 You will be able to transfer standard definition content across the home using either USB or DLNA. Unfortunately, due to copyright legislation HD programmes cannot be copied. Can I view my own home media? You can yes, this can be accessed via the FVP by either USB or DLNA. Can the remote be programmed to control my television? The remote can be programmed to turn your TV on and be able to change your TV’s source. 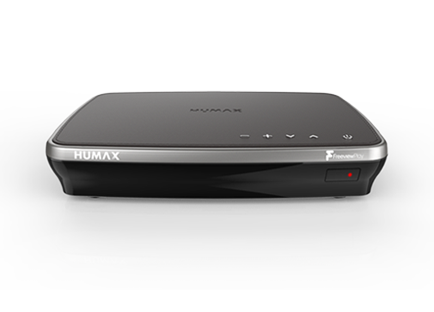 Using the Humax dedicated Live TV app available on Android & iOS you will be able to set your favourite programmes to record while on the go. If both the FVP-5000T and the smart device are on the same WiFi network, you will also be able to stream your recordings and live TV to your mobile device. 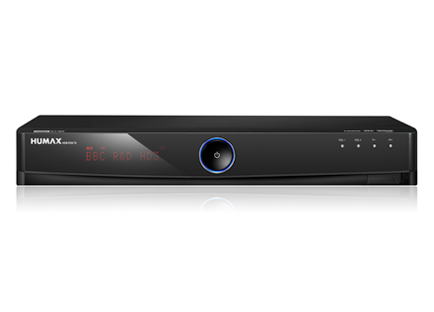 If you purchase both the FVP-5000T and our H3 Espresso media-streaming device and connect both to your home network you will be able to access both live TV and your recorded programmes in different rooms in your home. 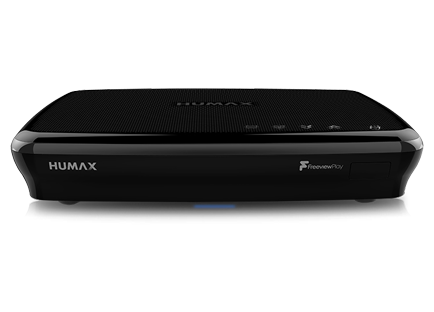 You will be able to record up to four programmes simultaneously, you can also watch a fifth but you will only be able to choose from a selection of the available Freeview stations – this selection is depending on the multiplexes you are recording and the channels available on them. Channels not available to view cannot be selected and will be grey. It is normal for the FVP to only show signal for one tuner unless you are recording multiple programmes from multiple multiplexes. The default option for the Guide will always include the available HD and SD channels, pressing + and selecting Change Group will give you the option to view Radio channels or specifically HD channels. Holding in the right directional arrow will allow you to choose which of the next seven days EPG data you would like to view (this can also be done using the Jump to Date function, available using the + button when viewing the EPG), holding in the left directional arrow will allow you to choose from the previous seven days (broadband connection required to view available content). The + button will also give you the option for Genre Search, you can choose from the following selection: All, Children's, Drama, Education, Entertainment, Lifestyle, Movie, News & Factual and Sport. You can search for specific programmes using the Search button on the remote, it’s icon is a magnifying glass. Results via this method will include upcoming broadcasts and content available On Demand. This can be done using the CH Up and Down buttons on the remote. To create your Favorite channels list you need to press the Freeview Play button > Settings > Favorite Channels. You use the Up/Down & Ok button to select your Favorite, then press + and choose Add to Favorite. Once you are happy with your list you press the Back button and select the option to Save. To access your Favorite list you need to Open the EPG, press the + button and select Change Group, where your Favorite will be listed. Smart re-tuning enables you to maintain your recording schedule so you do not have to deal with the inconvenience of scheduling your favorite programmes again. Default will clear your recording schedule. Press the Ok button to open basic content info > Use the left and right directional arrows to skip forward/backward. If you have a secondary aerial cable connected to the RF Out port on the back of the FVP connecting to a secondary Freeview device/TV you will need to make the below adjustment to ensure the unit passes the signal through to the secondary device regardless of whether the FVP is in operation or not. Set Power Saving in Standby to Off. 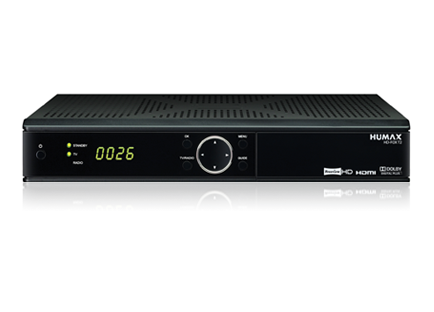 The RM-L08 provided with the FVP-5000T can be programmed to also control the television. You will need to follow the steps below to set the remote up. The TV Standby light will blink 3 times to confirm the programming. USB: Download the software from our website and copy to the root of a USB pen that has been formatted to FAT32. Follow these steps with the USB connected to the FVP: Freeview Play Button > Settings > System Settings > System Information > Check for New Software > If new version available, press Ok to download > Unit will reboot with SW download on-screen. Reconnect power whilst simultaneously pressing the channel down button on top of unit. Screen should show update progress - you can now release channel down button. When complete press standby button and remove pen drive. Press the Freeview Play Button > Select Recordings > Press the + Button > Select Your Programmes > Press the + button > Select Move/Copy > Select Destination > Do not turn off your FVP-5000T until the copying has finished as this may cause problems with your hard drive.